It's wedding season once again. Are you looking for that perfect dress for your little flower girls? Well, worry no more because we got you covered. Here's a style you can follow. 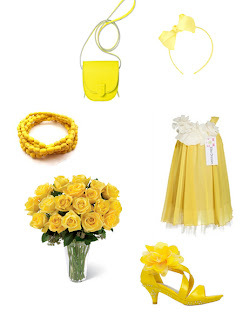 Yellow is a great color for weddings. We have the latest and stylish dresses that's perfect for your flower girls. They will love the material that we use and the colors and style that we have. Shop now as we have our June Weddings Sale of the week.